Sunsail’s new base at Wickham’s Cay II, Tortola, is the best located and best equipped on the island, situated on the outskirts of Road Town, it is the perfect starting point for an amazing British Virgin Islands bareboat sailing vacation. In fact, the sailing here is so fantastic that we have more yachts here than anywhere else in the world. 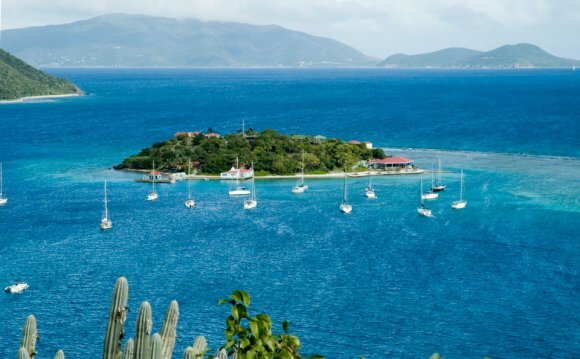 The British Virgin Islands offers an ideal blend of easy deep-water island hops, consistent trade winds, line-of-sight navigation and plentiful sheltered anchorages, making this an excellent family-friendly location and perfect for sailing vacations. Crystal clear waters – ideal for snorkeling and diving, picture perfect beaches, extraordinary rock formations, plentiful onshore attractions and a great selection of laid-back bars and restaurants ensure that a British Virgin Islands (BVI) sailing vacation will be one to remember. A British Virgin Islands yacht charter from Tortola, with its easy, deep-water sailing between the 60 stunning islands of the archipelago, is suitable for sailors with only a small amount of previous experience, which novices can gain at our on-site ASA sailing school. The liveliest sailing is generally around Christmas and the most gentle during the summer months. Winds in the winter are generally north-east trade winds, in summer they come from the south-east. Temperatures average 78 - 86 F (26 - 30 C) year round. To make sure that you get the most out of your British Virgin Islands Yacht Charter or BVI Bareboat Yacht Charter, we have equipped all of our yachts with the highest specification gear to help provide comfort, performance and fun onboard; so all that’s left for you to do is relax and enjoy your sailing vacation with family and friends. How To Sail a Yacht?